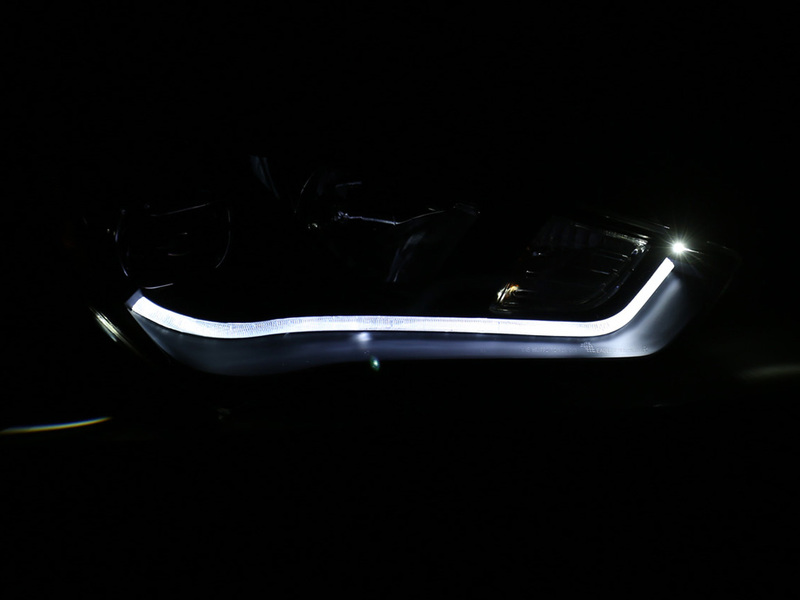 Spec-D LED dual projector headlights specially designed for 2013+ Genesis Coupe with matte black inner bezels - but ONLY compatible if your car came with OEM HID's! 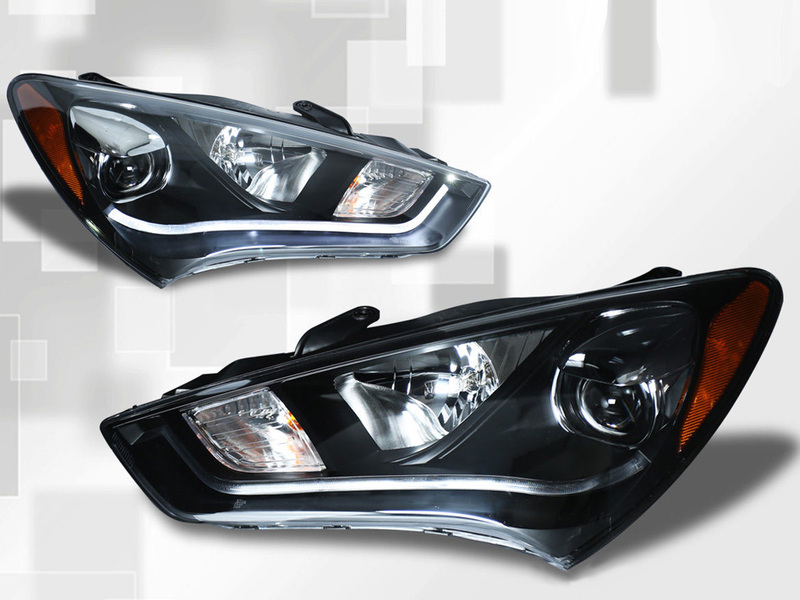 These will retrofit your headlights from HID to halogen--or for the use with an aftermarket LED or HID kit. Perfect fitment and excellent styling as an appealing exterior upgrade and fully functional LED daytime running light upgrade! Utilized OEM wiring harness with proper voltage requirements to NOT cause hyper-blinking due to the lower impedance of LED diodes. 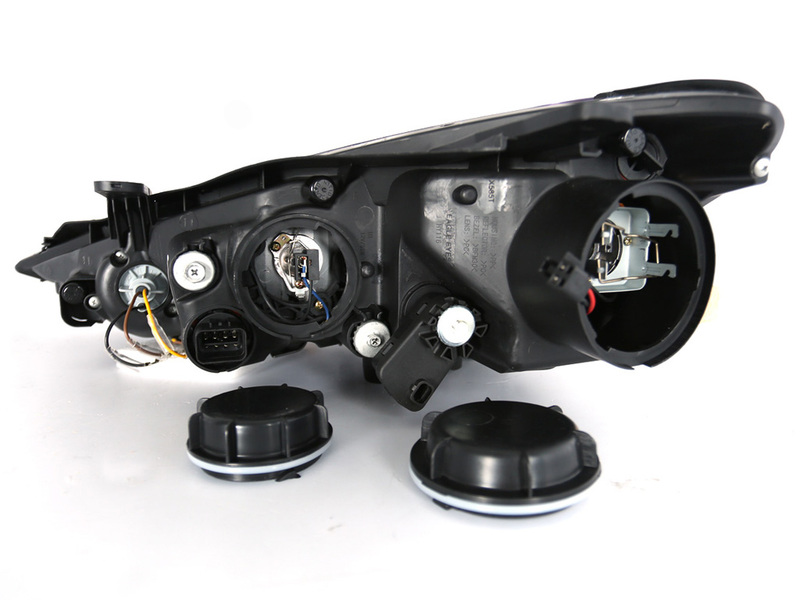 Features: Direct replacement, 2pc set--both driver and passenger side, SAE & DOT approved.